Ancient Indian Literature: Ancient Indian literature is one of the most beautiful and voluminous to read and understand. Most of the literature was in oral during ancient period. At the beginning the literature was transmitted orally from one person to another. There were no written records. Ancient Indian literature consists of four Vedas called as Rigveda, Yajur Veda, Sama Veda and Atharva Veda. The earliest known literary work of Aryans was the Rigveda. It consists of 1028 hymns in Sanskrit. Most of these hymns are in praise of deities. Rig Veda is one of the oldest literary works in the world. Followed by Rig Veda is the other three Vedas called as Yajur Veda, Sama Veda and Atharva Veda. Each of these Vedas are further classified into Samhitas which give information on Mantras, Aranyakas which helps us to do rituals, ceremonies in the right way, Upanishads which discusses on meditation, philosophy and the last is the Upasanas is the worship. Accordingly ancient Indian literature can be divided into two categories known as Sruti and Smriti. Sruti is vocal or listening and Smriti is what is remembered. Vedas and Upansihads fall under Sruti while the Smriti consists of great epics of Ramayana and Mahabharata. Manu smriti and other shastras are considered as the important smriti literature. Historians are of the view that Rig Veda is the most important Veda compare to the other three Vedas. It is believed that Vedas were not complied during any single time, it took years for the completion of the Vedas. Hence it can be said that Vedas provide valuable insights to history and culture during the ancient period. Ancient Indian literature includes many shastras, hymns which are usually praising the deity. Ramayana and Mahabharata are considered as the great Indian epic poetry of ancient times. 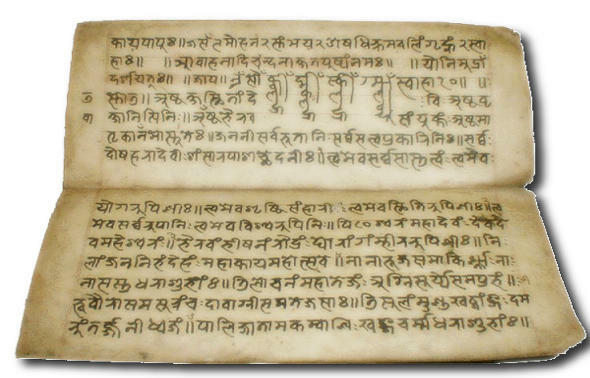 It was originally composed in Sanskrit but however has been translated into many languages now. Another famous poet Kalidasa wrote Raghvamsha and kumarasambhava along with many other works. Kalidasa is considered as the greatest poet in Sanskrit literature. His famous Shakunthala and Meghadoota is the most famous plays of kalidasa. Banabatta another Ashata Kavi in the court of King Harsha Vardhana wrote famous Harshacharita. This was a great time for poetry and drama. Some famous writers during this period include Kalidasa, Banabatta, Bharavi, Bhavabutti and many more. Ramayana is the ancient epic poet which describes the struggle of prince Rama to release his wife Sita from the hands of Ravana the demon. The author of Ramayana is Vamiki. It is the largest epic literature in the world. It consists of 24,000 verses and 500 sargas. Mahabharata is another ancient epic literature which tells the story of Bharata dynasty. The author of Mahabharata is attributed to Vyasa. It consists of 100,000 verses. Some of the important moral stories of Mahabharata include Bhagavad-Gita and Damayanti. Ancient Indian literature does not only mean the Vedas and the epics, it has much more to understand and learn from it. Ancient literature also clearly explains Dharmashastras which clearly explains the duties of a person and how a person should grow in character. There were shastras which dealt with science and maths. Kautilya’s Arthashastra deals with governance and economic policy which is written in Sanskrit. Along with this the Buddhists literature also expanded in Pali language. It includes Buddhists works like poetry, philosophical works and some grammatical works as well. Ancient Indian literature is most beautiful and complicated to read and understand. The Vedas, the Shastras, the Upanishads helps a human being to develop his character and lead a good life.